The packaging products that businesses use is incredibly important. Out of the many options, cardboard is the most popular for many reasons. It’s environmentally friendly, strong, versatile and much more. Apart from these reasons, one of the biggest reasons is that it can be customisable, which allows for much more flexibility than other packaging materials. Below are the top five benefits of using custom cardboard boxes for your packaging. When searching for cardboard packaging, the ideal material to choose is corrugated cardboard. It has three unique layers and is commonly found in pizza box packaging. This is because these three distinct layers trap microorganisms in between the three layers of the paper fibre, causing the microorganisms to die from a lack of nutrients and water, which they would find in the product inside of the packaging. Because of this, corrugated cardboard can extend the shelf life of certain products such as fruit and vegetables longer than other packaging materials. Customising packaging can be expensive for many businesses depending on the materials they are using, which is why another benefit to using cardboard is that it is very versatile. Designing and creating different sizes, shapes and even advanced or specific designs is much easier and more cost-effective. It is suitable for transporting and storing a huge variety of different products such as fresh produce, beverages, pharmaceutical supplies, industrial chemicals, electronic products, dangerous goods and much more. Cardboard packaging is much more cost-effective when compared to other types of packaging materials such as plastic. Cardboard provides superior protection yet is lightweight, which means this can cut down on costs such as transportation due to its lighter weight. Businesses can also save money by ordering their cardboard packaging in bulk orders. As the cardboard packaging is delivered as a flatpack, you don’t need to spend more money to accommodate for extra storage room as it can be quickly assembled before use. It may come to no surprise but cardboard is recyclable, which is of huge importance in today’s society. Cardboard does not require any special treatment before it can be recycled which means it’s very easy for consumers to dispose of after use. As most cardboard material is usually made from recycled cardboard, its environmental footprint is extremely small which is a big tick for businesses, consumers and the environment. Business branding is extremely easy with cardboard packaging. Unlike other packaging materials, it’s very easy to customise cardboard packaging with prints, colours and company branding and logos. This transforms the otherwise plain appearance of the cardboard into an eye-catching piece of packaging for the consumer. 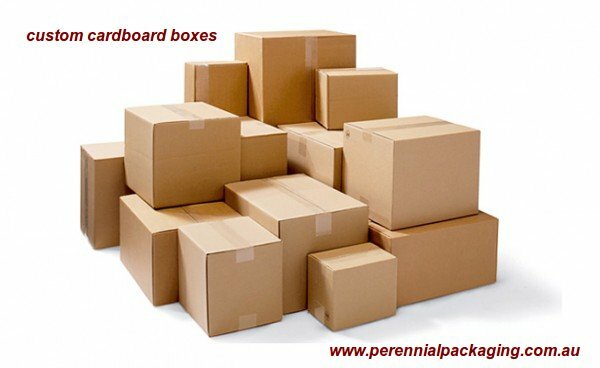 If you are looking for custom cardboard boxes for your products, search online for a packaging supplier who can not only offer cardboard packaging, but also many other services such as branding, custom designs, and printing options. This will ensure that you will get the most out of your custom cardboard boxes. Opt For The Worthy Bookkeeping Services in Adelaide	How can persuasive writing make your tender response stand out?